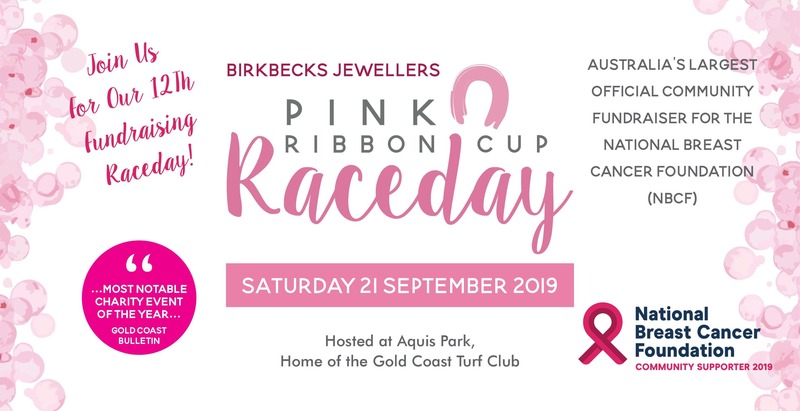 The date is set and preparations underway for the 2019 Birkbecks Jewellers Pink Ribbon Cup Raceday hosted by Gold Coast Turf Club. The PRC Raceday is Australia’s largest ‘community fundraiser’ for the National Breast Cancer Foundation. Last year an incredible amount of $116,261 was raised so be quick and secure your seat or table for this year’s event before it sells out!